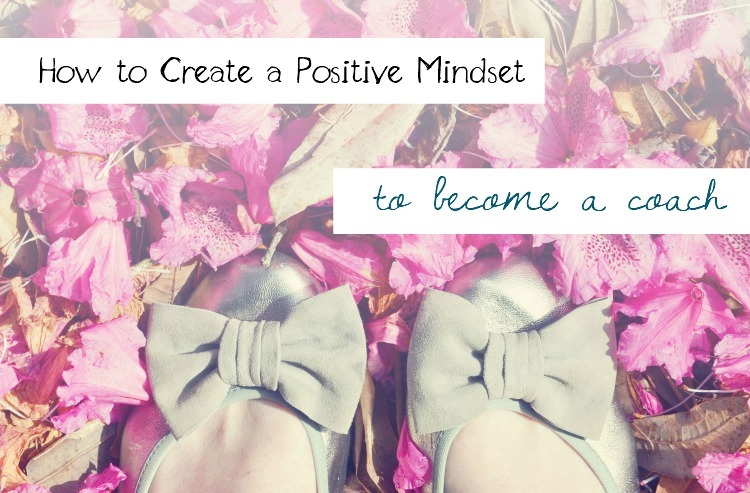 Creating a blissful, positive mindset is imperative for becoming a successful coach. Because like any other at times intense journey, putting yourself out there as a coach is going to stir up any underlying issues. Insecurities are going to rise up to the surface in the process. It’s nothing to be ashamed of. We all got them. It’s just, it’s gonna get a little bit messy at time until things settle down. The good news is, it’s all worth it. Like everything else worth going for, you are going to be challenged and, at times, want to give up. It’ll feel like everyone out there and their dog’s a coach and there’s no room for you. The self-doubt creeps in and you’ll feel self-conscious. You’re going to get frazzled with all the hats you need to wear and won’t be sure what to do. There will be times you’ll be feeling weak, can’t be supermom all the time, you’re going to be extra sensitive and take everything the wrong way and want to give up. But don’t give up. Do what you need to do to take good care of yourself, and take little baby steps towards this dream of that feels more doable. Because the key to becoming a successful coach is never giving you. You have to keep plugging away at it. And that takes a positive mindset. Brace yourself for this wild ride, and lean on the tips I’m gonna offer to you below. 1. Lean on the tools that you are picking up in your training. Much of coaching is holding space for someone who knows deep within what their next steps are to head towards their goal. Or their ideal vision of how they want their life to be. As a coach our role is to hold space for them. Ask the small questions that and provide an environment that will help them more easily access that inter-knowing. Coaching tools are essentially ways for our clients to remember this inner wisdom. To stay positive in this journey, keep reminding yourself to remind yourself that you do have a positive mindset underneath all the noise, distractions, and clutter. While you go through your coaching training, keep a list of the tools that you enjoy practicing on your practice clients, and you notice you enjoy being on the receiving end of. 2. Have someone in your corner. Make sure you have a cheerleader. You can have a coach or mentor, which is something I highly recommend if you are a coach yourself or becoming one. Or maybe you already have a close friend who always seems to know just the right thing to say. And who says a mentor has to know they’re a mentor? A mindset mentor can be someone you admire from afar. A go getter in your community, or even someone you are secretly stalking online (totally not creepy!). It can simply someone you think is too cool for school, and one day you want to grow up to be just like them. If it’s someone your crushing on online, when you’re feeling low look at their past emails they might have sent out (I’m imagining you’re on their email list already – if not, get on it!) Take one of their classes. If you feel they have a great attitude for success in this sort of realm discover how you can access their brains and good vibe energy whenever you’re feeling deflated yourself. 3. Dive into a classic self-help book. Think back to the first self help book that really blew your mind. When I was in university reading The Four Agreements and my mind was like – whoa. Try reading that book that turned you on to personal development once again. They say every seven years you shed off a layer of skin cells, and they’re get all replenished anew, so our brains are a wee bit different than they were when we were back in our crazy university days. Not to mention we have a lot of life experiences to look at these self-help book lens through. Revisit them, and see how now, with this new being that you’ve become, you interpret the wisdom and the words. 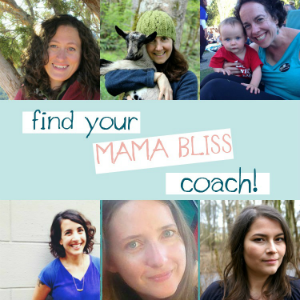 Then I challenge you, part two, to write out a quote from that, and post it on your social media, hash tag it #Mama Bliss. I would love to check it out. Take it to another level, and write a blog post. Or an Instagram caption. And to help inspire you to check out some positive messages from positively-classic self-help books, I have a pdf filled to the brim with 50 such morsels. I hope you enjoyed this second blog of this six part series. 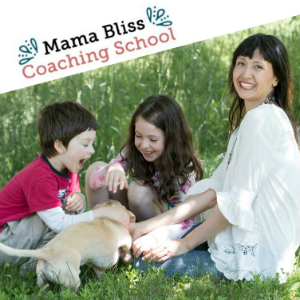 If you want to check out the first one on creating space in your life you can find it here. And then next up, we’ll be exploring How to Create A Coaching Process – so stay tuned. 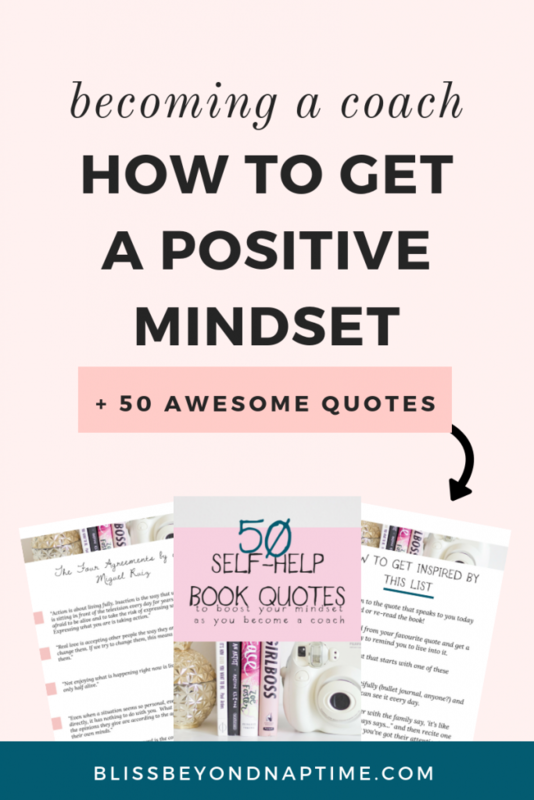 But first, grab your 50 quotes by clicking on the button below to keep your mindset strong and positive through out this journey!